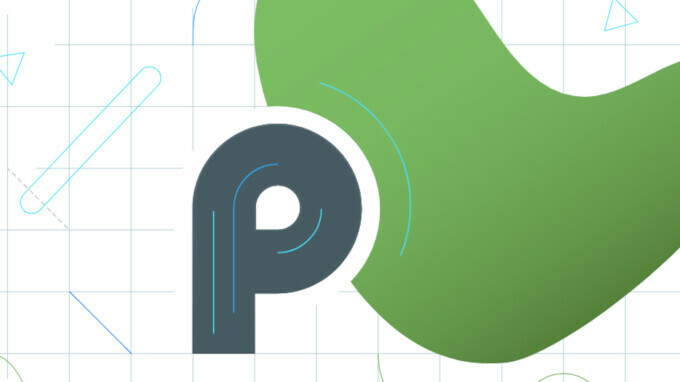 Google unveils Android P: new gesture-based interface! Android 9 P is here! Well, not quite yet as it will be months until it rolls out to actual devices, but Google has just officially unveiled the newest version of Android and it is a huge redesign of the platform with some new features and a focus on a brand new gesture-based interface that bears some resemblance to the gestures that Apple first implemented on the iPhone X. And yes, it's Android P, no official name just yet. First and foremost, gestures! Android P introduces a brand new way to navigate your devices using gestures that are... well, somewhat similar to the gestures that you get on the iPhone X, but definitely not the same. You get a tiny home indicator at the bottom of the screen and you perform various gestures around that part of the display. Instead of swiping up to go back to the homescreen like you do on an iPhone X, though, you tap on the home indicator. And to go back, you still have the dedicated back button. 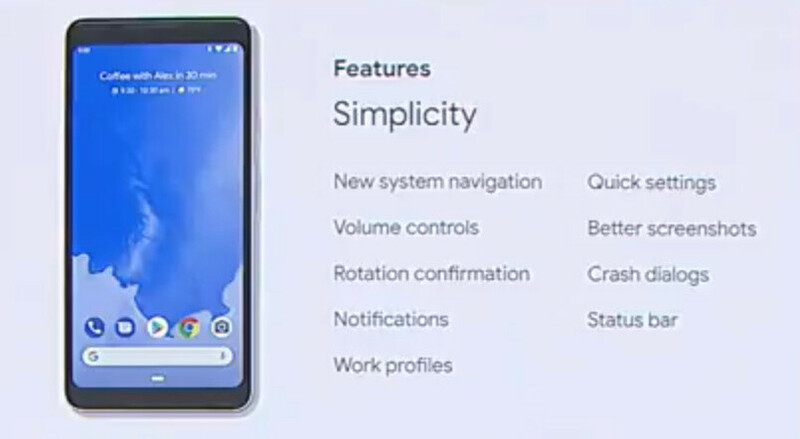 A swipe up in Android P brings up a new multitasking menu with large cards with easily glance-able information and one more swipe opens the app drawer. Finally, a swipe left or right on the home indicator quickly switches between apps. Fun fact is that Palm was actually the first company to have a phone with a completely gesture-based interface some eight or so years ago with webOS. Unfortunately, phones like the Palm Pre could not get traction and one of Palm's best designers, Matias Duarte moved to Google and is now bringing a similar interface to Android. We are probably all using our smart devices a bit too much. Well, Google has in fact found out that more than 70% of people want help to manage their digital on-device time better and it's the first company to actually do something about it on the system level. 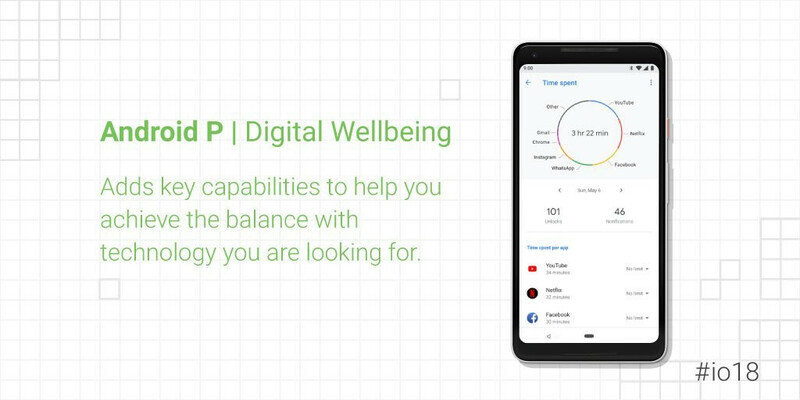 With a new unified dashboard centered around your digital wellbeing, in Android P you will be able to see how many times you have woken up your phone every day, how many notifications your have received, how much time you've spent in various apps and more useful insights to understand how you use your phone. Understanding your behavior is a great start, but it's not the end-all and Android P allows you to set time limits on apps and will nudge when you reach that time limit. Another cool new feature that will help you get a break from a constant flow of notifications is a feature called "Shush". Simply turn your phone with the screen facing down and it will enter Do Not Disturb mode, turns off vibrations and other distractions. Of course, you can have starred contacts always reach you if it's something important. And if you are one of those people that look at their phone just before going to bed and end up spending hours and interrupting your sleep pattern, Android P brings help with a new "Wind Down" mode. When you set a wind down hour, your phone screen will automatically turn into night mode and gray scale, which is less stimulating for the brain. It's a simple thing, but Google claims it helps a lot to keep you away from distractions before bedtime. Under Android Intelligence, you get a bunch of new features that will help you make the most of your device. This feature uses on-device machine learning to understand which apps you are likely to use in the next few hours and which apps you are not likely to use until later in the day or in the week. Using this information that remains completely private because it's on-device machine learning, the Android system can adapt to your unique usage pattern and in practical tests at Google this resulted in a 30% reduction in CPU wake-ups, running more processes on the power efficient small CPU cores and overall big improvements in battery life. Most smartphones currently rely on your surroundings to adjust screen brightness, but that’s one approach that serves all users in the same way, while different users have different brightness preferences. With a new feature called “Adaptive brightness”, you get to make manual adjustments once and the phone will learn your brightness preferences. This way, users make fewer manual brightness adjustments and have a better, more personal screen brightness experience. Last year, Android launched predictive apps, showing you the top five most probably apps that you are going to use at the top of the app launcher. With Android P, the team at Google adds something called App Actions, which are being predicted based on usage patterns and they are basically shortcuts to things you are commonly doing on your phone. For instance, if headphones are connected you get a prompt to automatically start playing music, for instance. Or if your phone detects you are in the gym, it might suggest you playing a gym workout music playlist. A new slice API allows developers to give direct access to key app features directly from the operating system or from search (in Android P, this feature will only be available in search, but expect it to expand in future releases). For example, Lyft is using the slice API to render a slice of their app in the context of search and allow you to directly hail a cab, showing you an estimate of how much it will cost to get to work or to home, saving you time and effort. MLKit (short for machine learning kit) is a new set of on-device APIs that is cross-platform and will work with both Android and iOS. It gives you ready to use models for things like face recognition, barcode scanning, image labeling, smart reply, landmark detection and so on. Some of the changes that users will appreciate the most in Android P are actually small things that will simplify the user experience a great deal. First, it is now easier to adjust media volume without having to deal with complicated sound controls. Simply pressing the volume down or up buttons now adjusts media volume by default, as this is what you most commonly want to change, while for ringtone volume you have a button that allows you to quickly switch to silent or vibrate mode. All of those sliders are also no longer at the top where they are hard to reach but within easy reaching distance on the right side of the phone. Secondly, screen rotation now gets a huge boost in functionality with one very simple change. In Android P, when you rotate a device, it will automatically show a button that you can then manually press to rotate the screen correspondingly. This way, those annoying automatic screen rotations can be actually managed in a much easier way. Oppo, Sony, nokia, pixel, possibly Xiaomi All I can remember. Thanks mate, was there no samsung? Too heavily skinned. I can't see it. No Samsung. You will probably start seeing P on Samsung devices around this time next year. If the last update cycle is any indication. This time last year Oreo was in beta (As P is now) and the update to O for Samsungs just started a few weeks ago. Essential, OnePlus, Sony, Oppo, Nokia, Xiaomi, and Google. Why google is making icons round? Always funny how they are apples gestures and not palm's... Silly hacks . Cause Apple makes things popular, no one knows Palm originally invented them. Just everyone in the tech world. Looks like you don't know what's does PalmOS gesture works, and you said Apple invented it. What a joke. What is palm?? LOL... Don' be an ignorant knucklehead. Google copied Apple very clearly here. There is no way around that.I'm sorry but main stream consumer notices this no matter how hard we shout at each other. Apple sets trends in the smartphone business and it's pretty clear now. Didn't like the new navigation bars.If its gesture based there should be no home indicators & back indicators.its looks more like ios. They should do like Ubuntu touch or sailfish os. If it wasn’t for Apple you’d be typing your comment on a T9 keyboard, and using buttons to scroll. The same thing happens when you write "android phone arena". About the new navigation bar? See how you can get inspired by something and make it even better doesn't matter apple or balm i like what google did and it seems much more efficient than others , (notch copiers .. learn from this) and the goos thing is google will give an option to go back to the traditional navigation bar. Are u sure traditonal navigation bar will be there as an option give me proof. I'm sorry, but when Apple launched their gesture based navigation, you heralded it as a breakthrough and a world's first and other hyperbole reactions, while not mentioning at all that Palm was the first company that did gesture based navigation before Apple. Now that Google is incorperating a little more gestures into their navigation, you make sure to mention that Palm was actually years ahead of Google, as they had gestures way before them, and you mention it in the very first article about the new Android P navigation. I'm sorry, but this is why the term PhoneArena is sometimes used. PhoneArena Techxp u still haven't learn to spell check even today with ur new account. Get lost, i'm not TechXP. Furthermore, i think you need to spell check yourself, as your spelling and grammar is worse than mine. Android P is a very meaningful update. All the features it is adding look very useful.